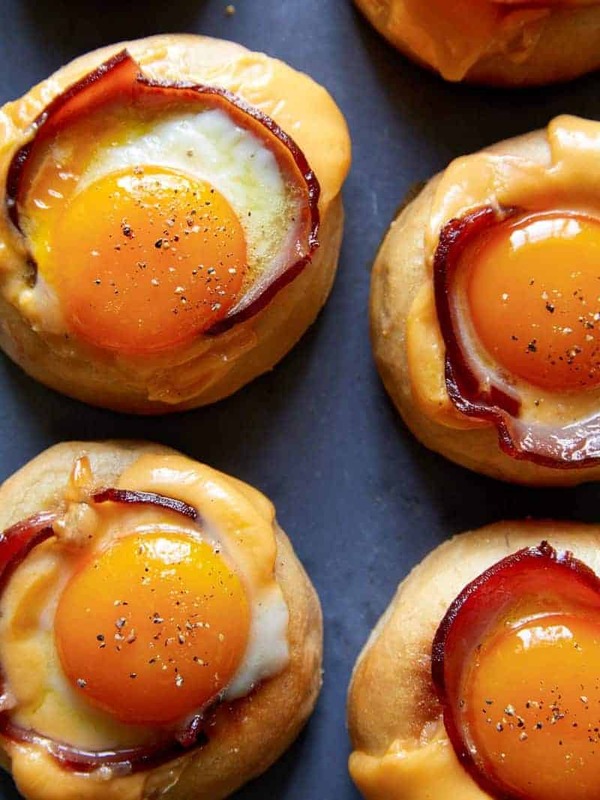 Welcome to our Egg “McMuffins”, everyone. 🙂 On Monday we posted our recipe for Homemade English Muffins. I was and am still really excited about that one. I don’t have too much experience with making yeast breads (with the exception of doughnuts, but duh), and while I know the process isn’t very difficult, I think it’s such an intimidating subject to tackle. I finally pulled up my sleeves and did the darn thing. 2. Using a 2.5” circle cutter, cut holes from the center of each English muffin. 3. Remove muffin holes, slice bottom third of each hole and place back into the bottom of each muffin. 4. Transfer muffins to a baking sheet, lined with parchment or a silicone baking mat, and brush each muffin with butter. 5. Press a half cheese slice into each muffin well and top with a slice of Canadian bacon, followed by the remaining half slices of cheese (making sure to press into the center so a well remains in the middle of the muffin). 6. Carefully pour an egg white into each well and bake for about 15 minutes or until muffins have toasted, cheese has melted and whites have just barely set. 7. Remove muffins from oven and top each with an egg yolk. 8. 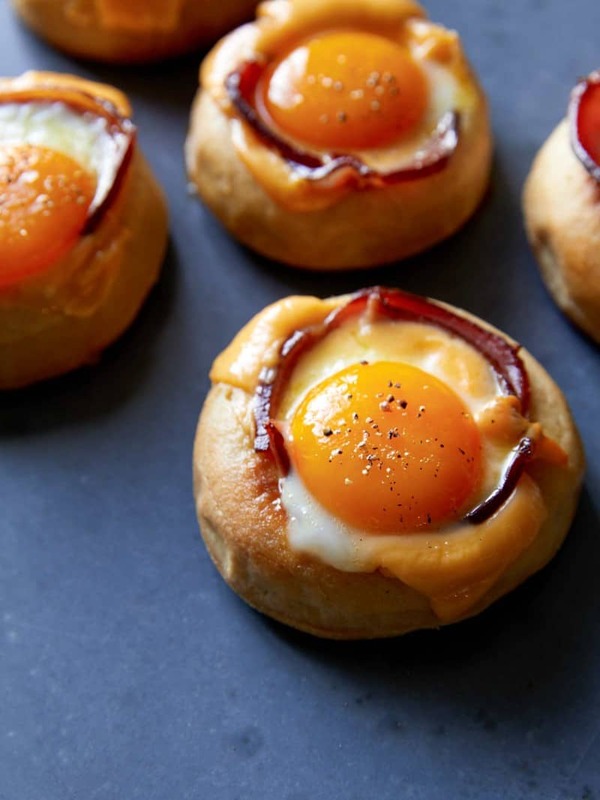 Reduce oven temperature to 375˚F and bake English muffins for an additional 5 minutes, so the yolks are still runny (bake for 10 minutes for a solid yolk). 9. Remove from oven and cool for 5 minutes. Lightly season with salt and pepper and serve.